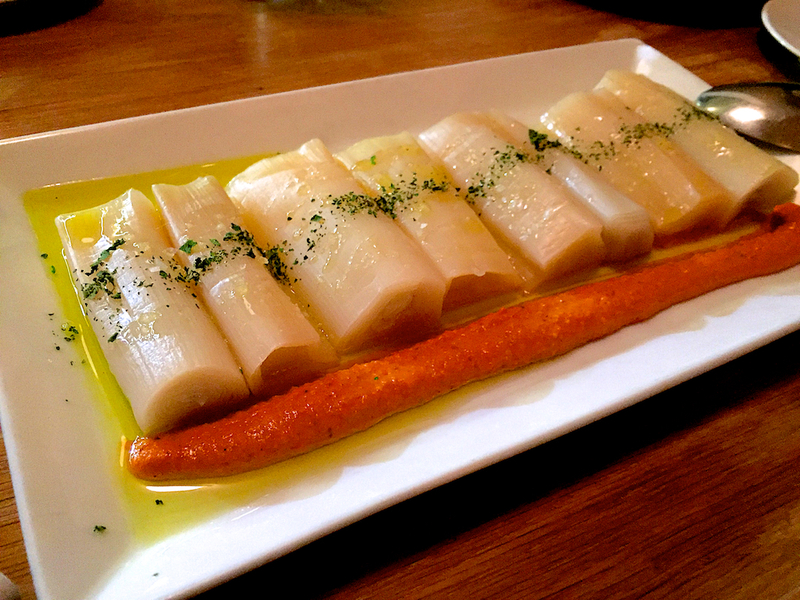 Vinoteca Moratín is my new favorite place in town. It opened in 2013 and still now it’s really difficult to get a table. The reason: the amazing food and atmosphere, and also the fact that it only has like 6-8 tables. A place to converse with a few of your closest friends or to have a special evening with your partner. 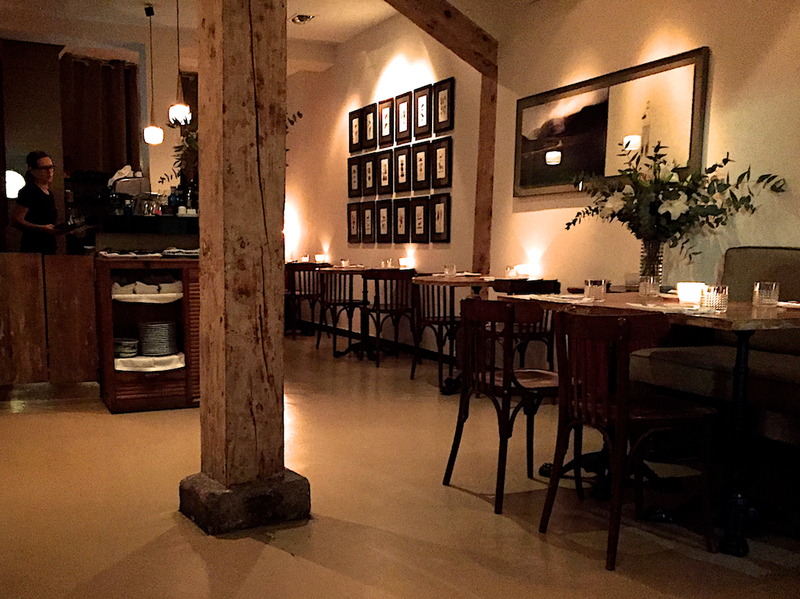 Great decoration, enough place between tables, very quiet and beautifully lit. Marcos explains carefully and passionately everything on the menu, focused on seasonal market cuisine and fresh products and a well balanced wine list at reasonable prices. 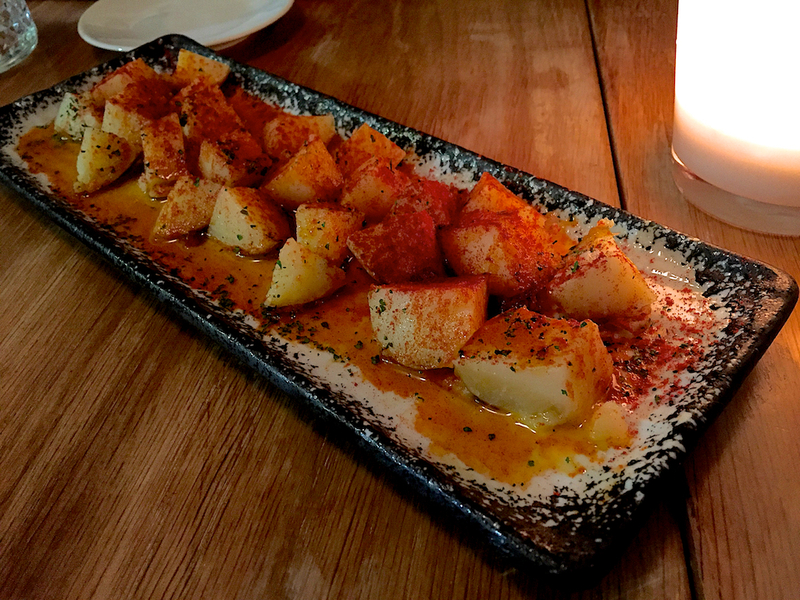 The place is so homely that the time seem to fly, so almost without realizing it you are with your glass full and savoring a delicious aperitif, as this paprika potatoes. Last visit we chose winter dishes to share: Leek confit with romesco sauce (tomato, almonds and toasted hazelnuts), melt-in-your-mouth sweat leeks, I loved them. 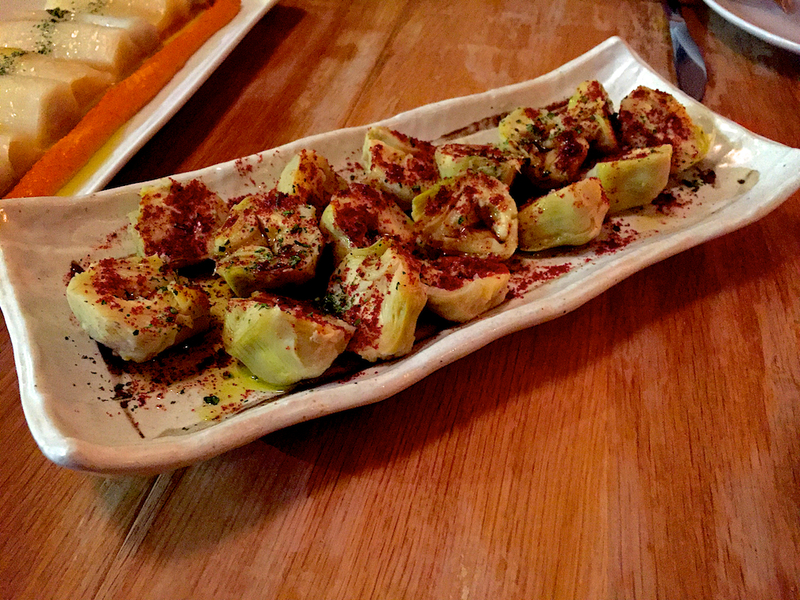 And Artichokes with cecina salt, surprising mix of flavors. 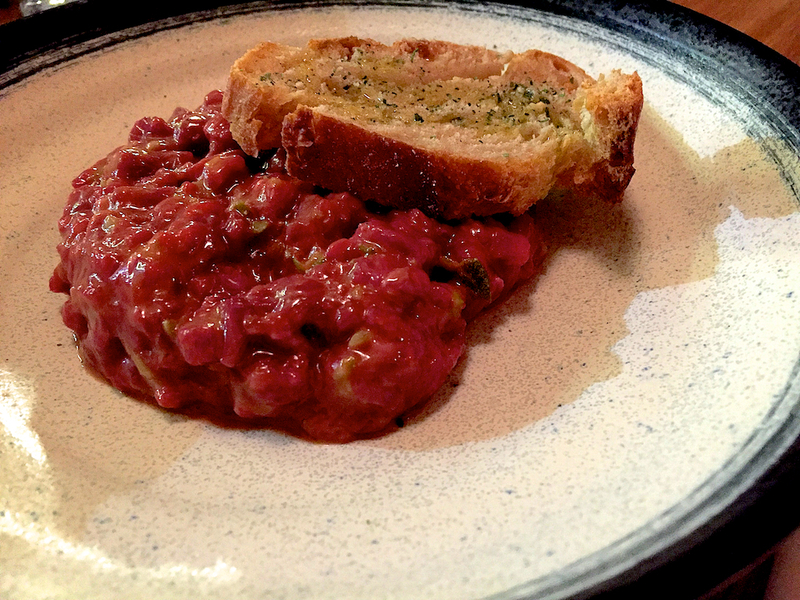 The star dish is the Steak Tartare, medium hot. 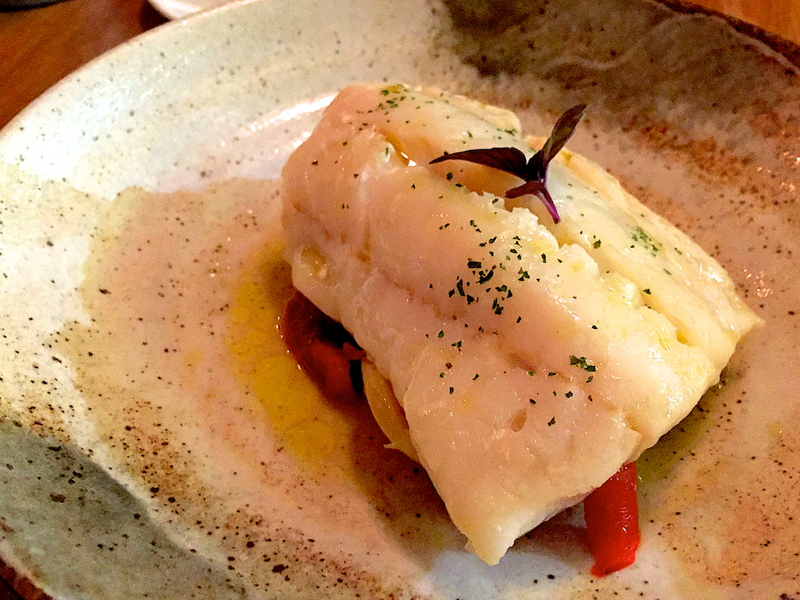 Fish dishes are a temptation, as this Low temperature Cod with vegetable escalibada. 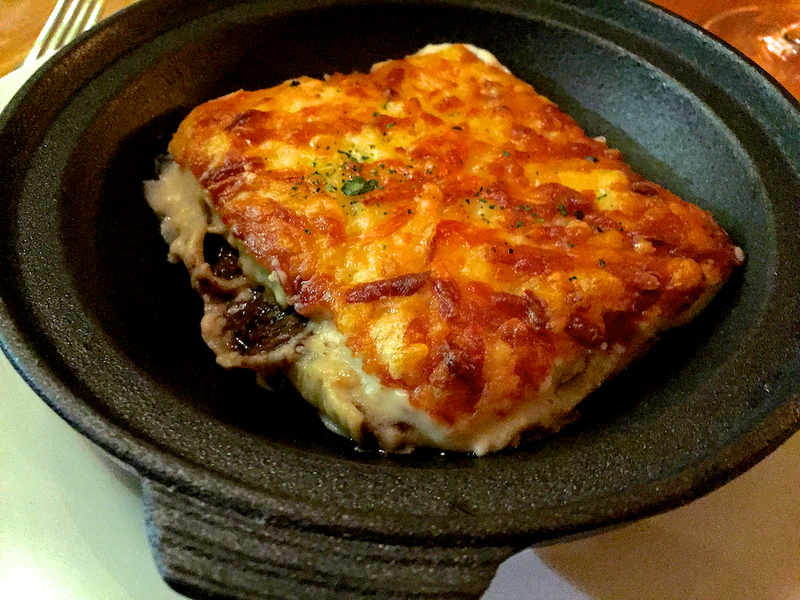 Surely my weakness is the Veal cheek cannelloni. 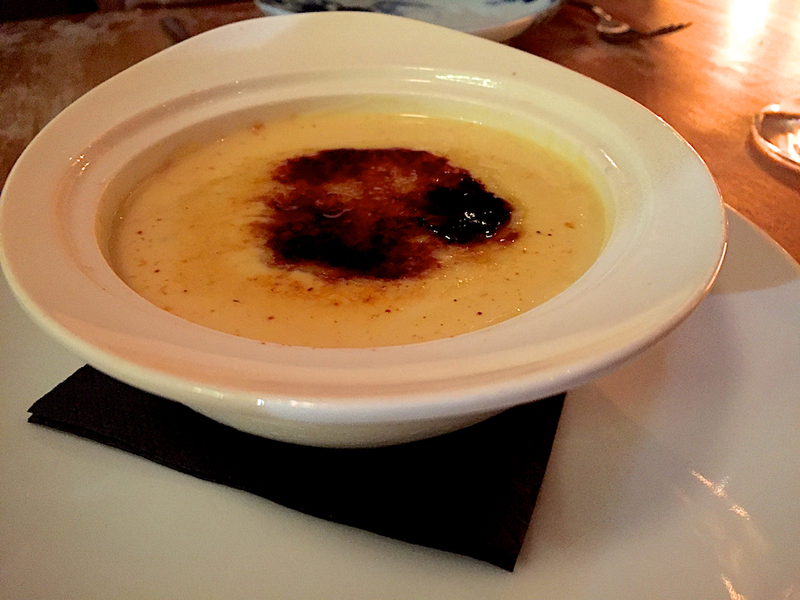 As you won’t want to leave yet, you’ll absolutely want to stay and live there forever, you’ll order some dessert. 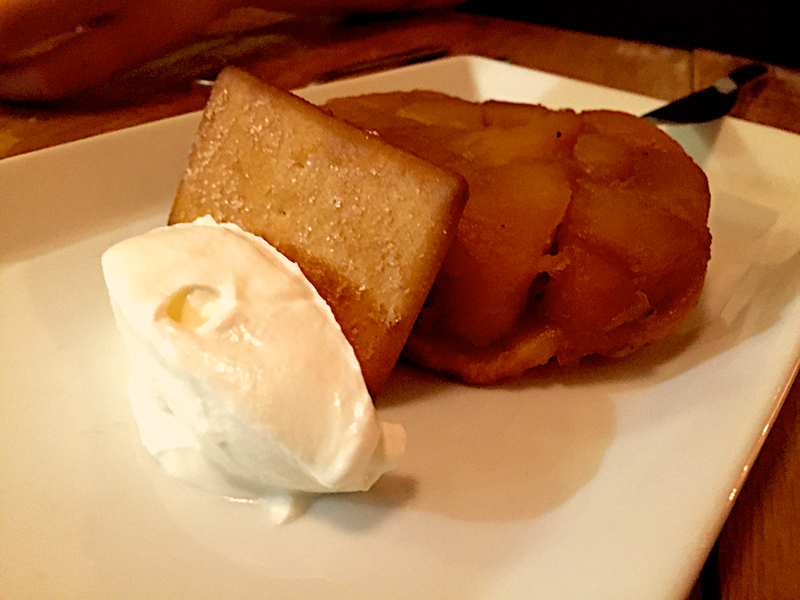 You can choose between Apple tarta tatin, a Chocolate and yuzu coulant with greek yogurt ice cream, or a Crema quemada. Just 35€ each for a dinner like this. 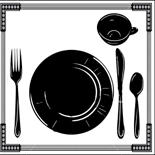 Esta entrada fue publicada en enero 20, 2016 por vanesites en Mediterranean, Spanish y etiquetada con Barrio de las Letras, Couples, dinner, Fish, Madrid, Meat, Mediterranean, Mid price, quiet, Restaurant, Spanish, Vegetable.